As even the most fleeting of tourists will find, London owes a huge debt to Sir Christopher Wren. Arguably the most famous architect in English history, you may well have visited his grandest projects, which include St Paul’s Cathedral, the Royal Naval College and the south front of Hampton Court Palace. Yet one of his other designs in the capital lies significantly less noticed. 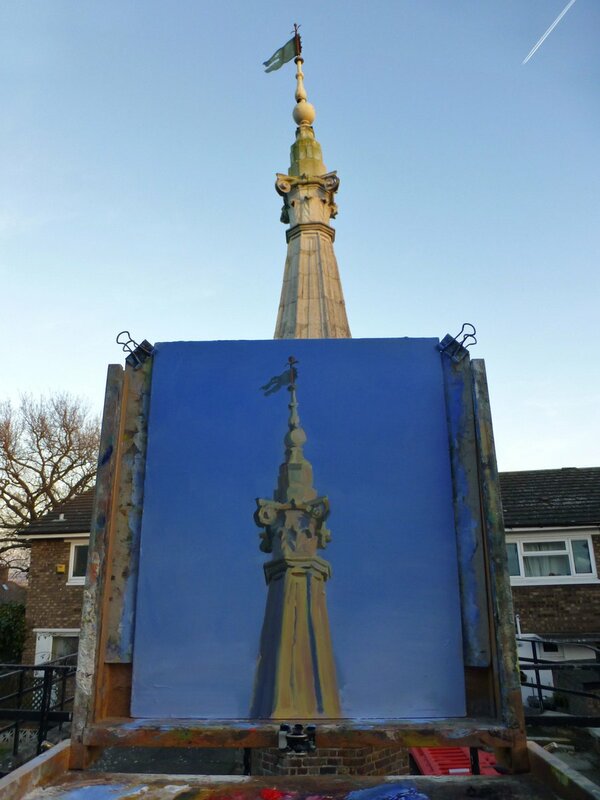 Tucked away in a leafy housing suburb of Sydenham, the spire of St Antholin’s Church pokes through the rooftops. A curious local landmark, it stands independent from an actual building of any kind, so unassuming that no hint of its history is even mentioned through any plaques or signage. Incongruous: Wren’s spire with a south London housing estate backdrop. Photo: Philip Talmage in Creative Commons. Nonetheless, it is in fact a bona fide Wren design, one remnant of the 51 churches that the architect was charged with rebuilding after the Great Fire of London in 1666. While the remaining churches otherwise sit neatly in a cluster deep in the city — making St Antholin’s steeple look somewhat of a castaway alongside the bell tower of All Hallows in Twickenham — the spire was similarly born within throwing distance of the Thames, and only saved by one determined city businessman. Records of the original church of St Antholin’s stretch back to 1119. Originally named after Saint Anthony the Great, it was situated on Budge Row, formerly part of the huge Roman trading route Watling Street, which ran across southern England and still remains in parts of the city today.